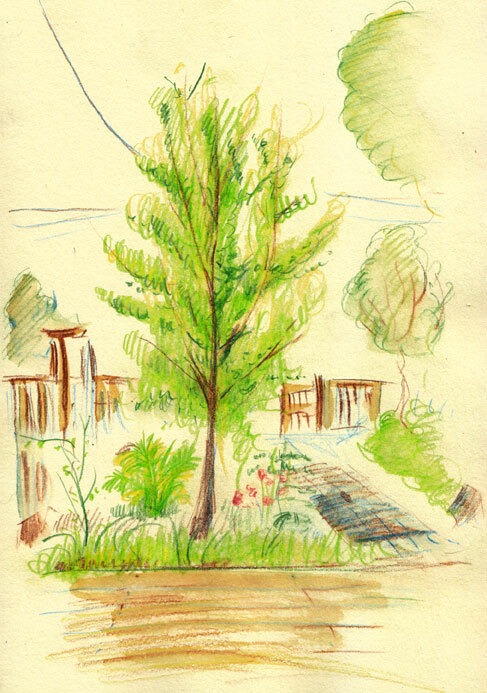 These are sketches from the backyard garden of my cherished friend. 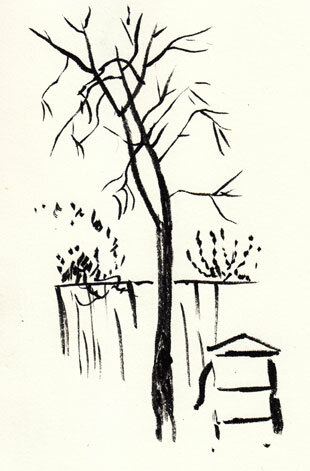 Above is a gingko tree, though it’s hard to tell. Below, a hair in the scanner, darn it. But I’m too lazy to erase it. 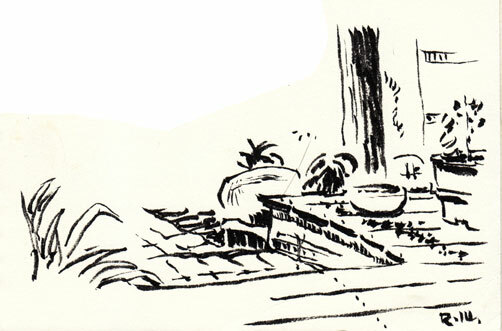 I was using Asian brushes, and flatter myself that these have a far East feel to them. The brush makes the bones, and the chi should keep flowing!